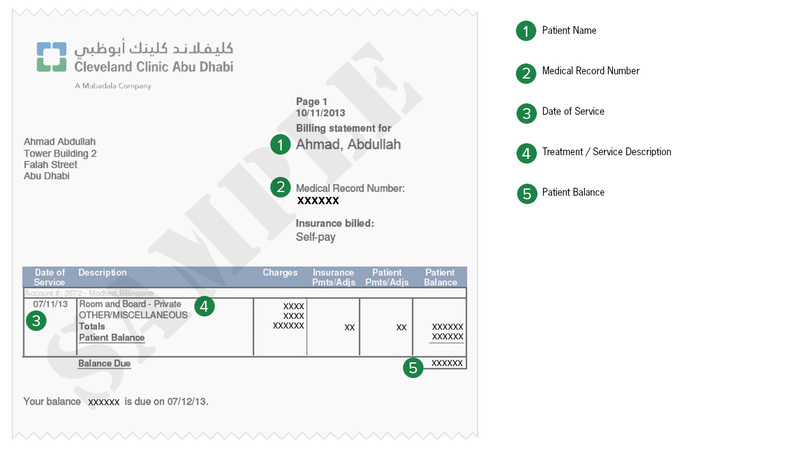 At Cleveland Clinic Abu Dhabi we aim to make your payment and insurance claim process as simple as possible. Our Cashiers and Patient Access Services team are available to guide you at any point in the process. Following your visit to Cleveland Clinic Abu Dhabi, we will submit a bill (also called a claim) to your insurance company. Your claim lists all the services you received during your time with us, and your insurance company uses this information to pay for those services which are covered under your plan. Cleveland Clinic Abu Dhabi may send you a Billing Statement to show you the remaining balance you need to pay for the services you received. If you are unsure of why your insurance company is not paying for certain services, please contact their claims department to raise your concerns or clarify any information. Please keep these documents for your records in case you should need to access them. ​All you need to know before visiting Cleveland Clinic Abu Dhabi. ​Visit our FAQs page for answers to common questions.